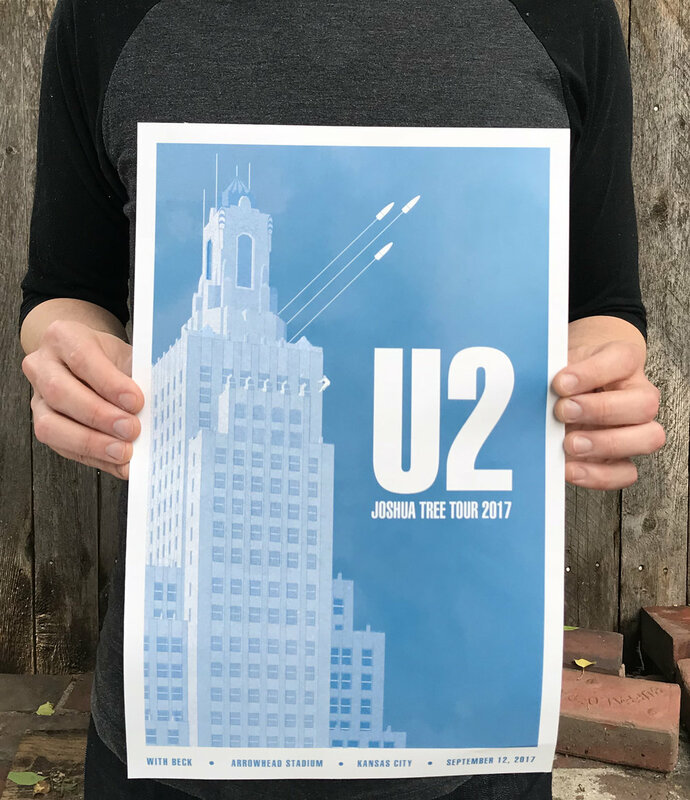 Concept poster design I came up with for an amazing concert I attended. Design ideas come from lyrics on the U2 "Joshua Tree" album involving scaling city walls and bullets in the blue sky. An iconic Kansas City building is represented to capture the concept and add local familiarity. Poster is digitally printed 11"x17" but designed with only 1 color, and ready for screen print.